Fred Toyosaburo Korematsu, the civil rights activist and American Hero who challenged Executive Order 9066, a mandate issued by President Roosevelt that imprisoned Japanese Americans in concentration camps during World War II all the way to the Supreme Court, lost, but was vindicated forty years later, died Wednesday, March 30, 2005. He was 86. Korematsu, who President Bill Clinton described as “helping to widen the circle of democracy by fighting for human rights, by righting social wrongs, and by empowering others to achieve,” died of respiratory failure at his daughter’s home in Larkspur, CA, said his attorney Dale Minami. His path to legal vindication was the basis for the Emmy-winning 2002 PBS documentary Of Civil Wrongs and Rights: The Fred Korematsu Story, co-produced by Eric Paul Fournier and Korematsu’s son, Ken Korematsu. Taking a look back at Korematsu’s challenge of the wartime incarceration of Japanese American citizens, the film follows his long ordeal to achieve personal justice and portrays his courage during and after the war while exploring the constitutional significance of his controversial landmark Supreme Court case. An American citizen by birth, the 23-year old welder was among 120,000 Americans of Japanese ancestry living on the West Coast when Japan attacked Pearl Harbor on December 7, 1941. In the ensuing months, the Army issued orders rounding up these Americans into 10 Internment camps, each surrounded by barbed wire and machine gun towers and located in desolate regions from California to Arkansas. Korematsu’s family was taken to Tanforan, a former racetrack south of San Francisco for processing, but he refused to go. Waiting until after the exclusion order deadline passed, he had plastic surgery to disguise his Asian features and lived his life with his Italian financee as a free man under the name Clyde Sarah until May 30, 1942, when he was arrested on a street corner in San Leandro, just south of Oakland. Tried and convicted for failing to report for evacuation, he was relocated with his family to an internment camp in Topaz, UT, where he was ostracized by the Japanese American community for dodging the relocation order. Appealing his conviction to the Supreme Court, the court ruled against him, citing the simple reason that “we’re at war with Japan,” on December 18, 1944. For nearly forty years, Korematsu lived in silence with his criminal record, his own daughter Karen only became aware of the case when the Korematsu vs. United States case was taught in one of her high school classes. 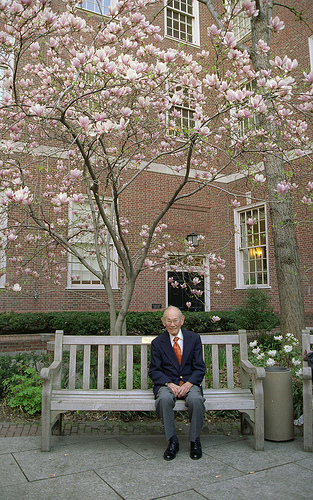 Fred Korematsu’s fate seemed lost to the history books until 1981, when Peter Irons, a law professor writing a book about the internment, and Aiko Yoshinaga-Herzig, a Japanese American researching government archives, happened upon wartime memos written in 1943 and 1944 by Edward Ennis, the Justice Department attorney responsible for supervising the drafting of the government’s brief. As Ennis began searching for evidence to support the Army’s claim that the Internment was necessary and justified, he found precisely the opposite — that J. Edgar Hoover of the FBI, the FCC, the Office of Naval Intelligence and other authoritative intelligence agencies categorically denied that Japanese Americans had committed any wrong. Other memoranda characterized the government’s claims that Japanese Americans were spying as “intentional falsehoods.” These official reports were never presented to the Supreme Court, having been intentionally suppressed and, in one case, destroyed by setting the report afire. Peter Irons knew he found a “smoking gun,” and tracked down Korematsu and the other two resisters- Gordon Hirabayashi and Minoru Yasui– to ask about reopening their cases. 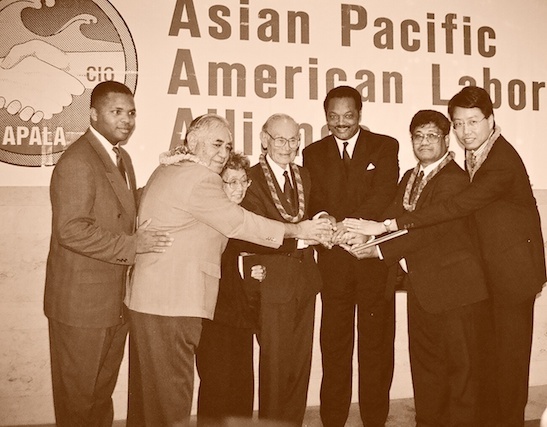 Irons contacted noted civil rights attorney Dale Minami, who assembled a team of lawyers–mostly Asian American led by Karen Kai, Don Tamaki and Minami, who worked countless hours pro bono. On Jan. 19, 1983, the attorneys filed a writ of Coram Nobis–the legal term for a fundamental injustice committed before the court and discovered only after a sentence has been serviced. Korematsu’s legal team argued that government prosecutors suppressed, altered, and destroyed evidence presented to justify the convictions of the internment resisters. They also argued that the government committed fraud in prosecuting Korematsu because there was no reason to imprison Japanese Americans in internment camps. Personal justice came for Korematsu on November 10, 1983, when his war time criminal conviction was voided. 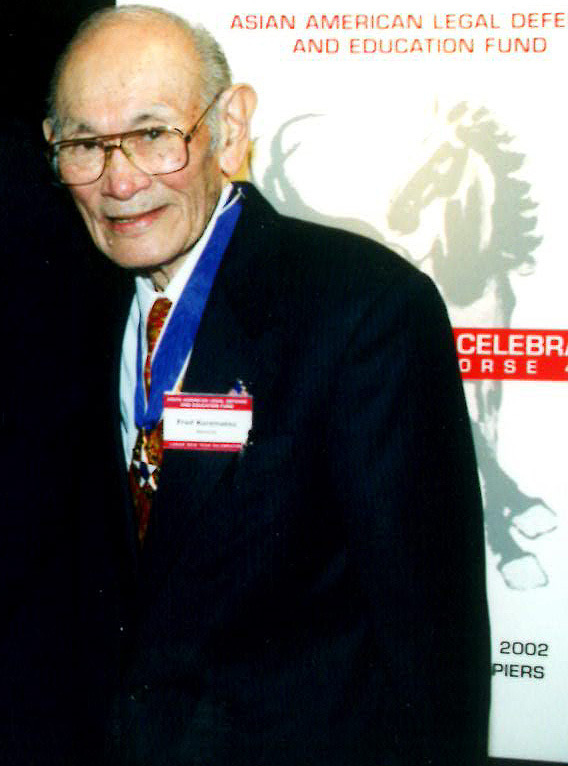 Korematsu was the recipient of honorary doctorates from the University of San Francisco, California State University Hayward, McGeorge School of Law, and the City University of New York Law School, in addition to official recognition from the California State Senate. 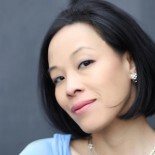 The memorial service is on Sat., Apr. 16th at 1:30pm at First Presbyterian Church, 2619 Broadway in Oakland, followed by a reception at the church in Fellowship Hall. 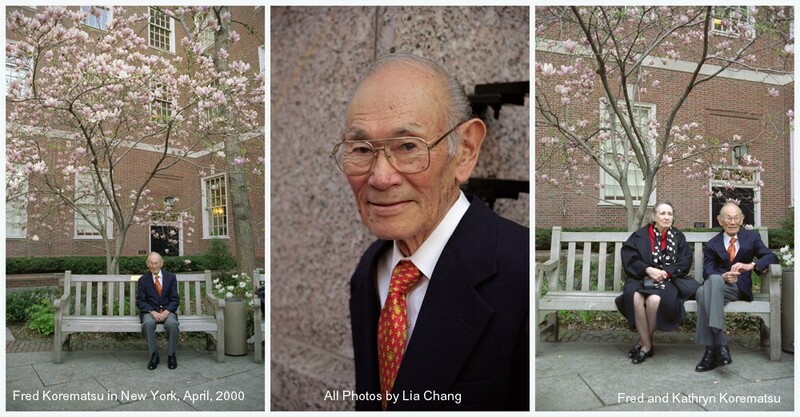 The attorneys for Fred have established the Fred Korematsu Memorial Fund in a trust account for additional small donations or Koden (Japanese custom of offering small donations to the deceased’s family) to help with costs of the memorial service. Any amount remaining in this account after expenses will be donated to the organizations listed below. The family has requested that in lieu of flowers, donations be made to the organizations listed. This entry was posted on March 30, 2005 by Lia Chang in Asian American Pioneers, Film, Japanese American History, San Francisco and tagged Aiko Yoshinaga-Herzig, Asian Law Caucus, Backstage Pass with Lia Chang, Dale Minami, Executive Order 9066, Fred Korematsu, Internment Camps, Japanese redress movement, Lia Chang, Of Civil Wrongs and Rights: The Fred Korematsu Story, Peter Irons.